Egypt lies on Respen, the more southern continent on Atalan. This country is bordered by three countries, but is mostly an oceanfront country. The neighboring countries are Dragon Valley, Lucky Palms, and France. Home of the Egyptians and their culture, this place is known for its sandstone pyramids and secrets. There is a rumor held by the locals that it is one of the last remaining locations with wild flamefruits - an ancient fruit used to fight Vampires several centuries before. 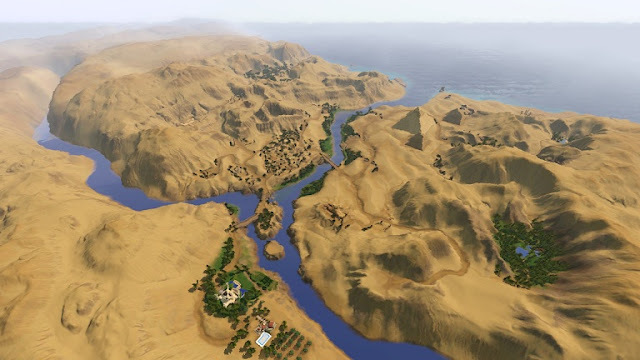 Currently the government of Egypt has a ruling Oligarchy; however there is whisper of a Civil War as unrest grows and Dragon Valley continues it's relentless onslaught to collect more territories under its wings.